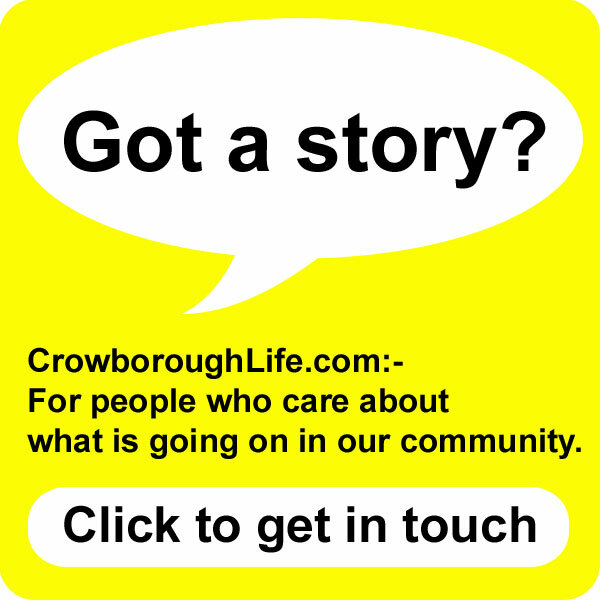 Members of Crowborough Beacon Golf Club attended their Annual General Meeting on the evening of Saturday 6th January. Retiring Captain Richard Hemsley gave a report on the activities of the Club during 2017 and handed over the Captain’s Club Tie and Wine Cooler to incoming Captain Charles Tankard. Charles said he was very honoured to be selected as Captain for 2018, particularly as his father Toby had also been Captain of the Club in 1982. Charles presented Richard with an album of photographs to commemorate his year. Each year the Captains select a charity to support. 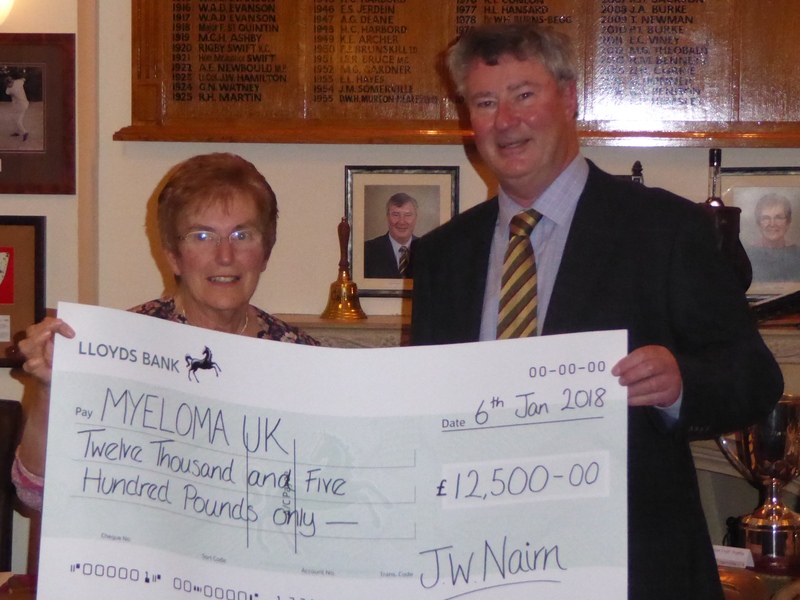 Richard and 2017 Lady Captain Brenda Clift were able to present a cheque for the magnificent sum of £12,500 to Myeloma UK. 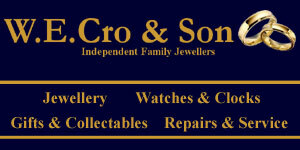 This was donated by members at golf days, auctions and raffles held throughout the year. Myeloma, is a cancer arising from plasma cells, a type of white blood cell which is made in the bone marrow. Statistics report that 90% of people diagnosed with Myeloma have never heard of it. That was the case when my late brother in law, Michael West was diagnosed with it in 2006. Michael died from the Myeloma in 2012. He was a member of the club at the time he was diagnosed. Plasma cells form part of your immune system. Normal plasma cells produce antibodies, also called immunoglobulins, to help fight infection. In myeloma, plasma cells become abnormal, multiply uncontrollably and release only one type of antibody known as paraprotein, which has no useful function. 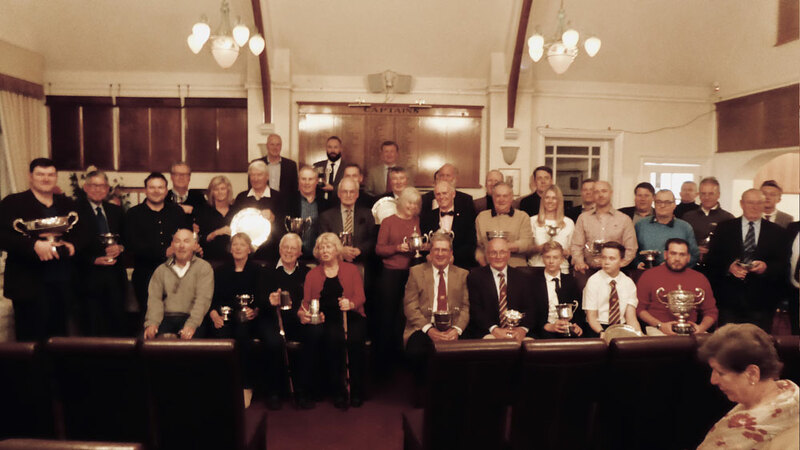 Richard’s last duty was to present the trophies to the 2017 winners. On Sunday 7th January the Captains for 2018 drove in to start their year in office. Captain Charles Tankard, Lady Captain Terry Conby and Junior Captain Jamie Johnson prepare to drive from the first tee. The Drive-In was preceded by a Ryesomes Competition which was won by Graham Wicker and Dan Jenkins with 38 points and was followed by a carvery lunch. It was a wonderful start to what is hoped will be another successful year at the Club.